Umbria is often proclaimed the “Green Heart” of Italy and is a tiny region, one of the smallest in Italy, bordering on Tuscany this region is famed for its special wines that hail from the numerous vineyards spread out across the landscape and its high-quality regional produce. In other words, Umbria is a gastronomical paradise! 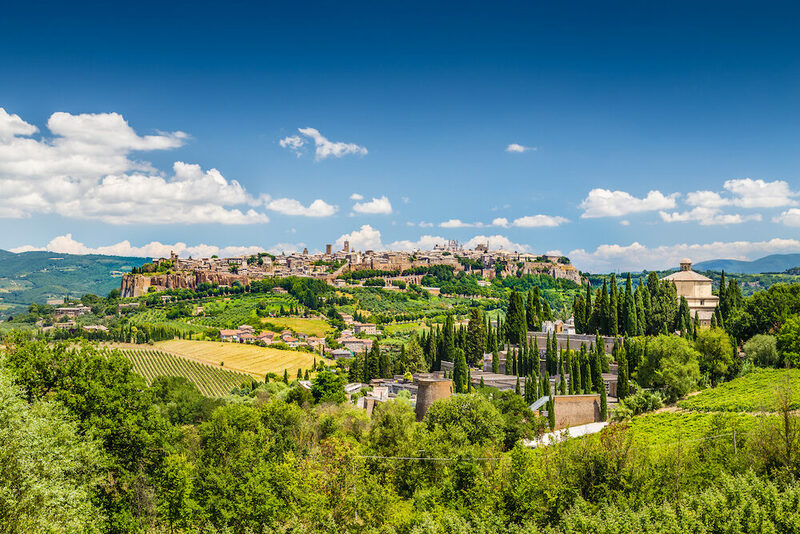 Situated a short distance from Rome and easily reached by train, visiting Umbria feels like stepping into the heart of Italy, where life and local traditions carry on, untouched by mass tourism in the bigger cities. It feels like one of Italy’s best kept secrets and is sometimes called “Tuscany without the tourists”. In Umbria you will be transported into the past visiting medieval cities whilst immersing in the local rustic gastronomy. 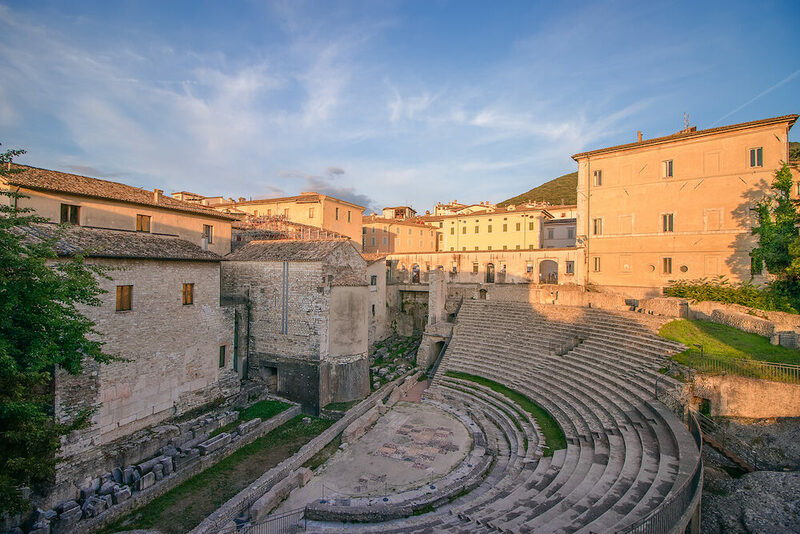 Umbria is the perfect destination for history lovers. It’s regional capital is the gorgeous medieval Perugia where you can see magnificent architecture of the renaissance in some excellent galleries. 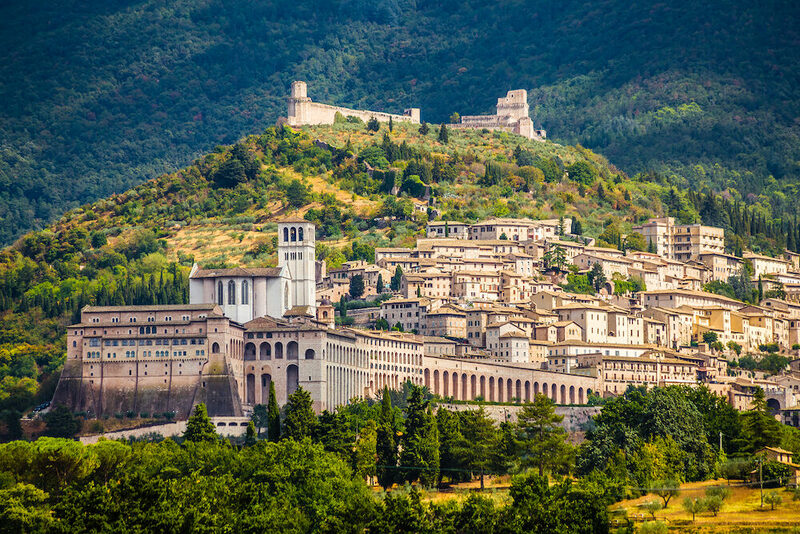 Cities such as Assisi, Spoleto, Spello and Gubbio offer visitors a glimpse into Italy’s rich history, filled with monasteries, churches and historical buildings. For foodies, Umbria boasts prime quality cheeses, hams, sausages, salami and wines, there is no better way to this than a journey along one of the four wine routes of the region and visiting a local vineyard on the rolling hills and sampling the best that Umbria has to offer. 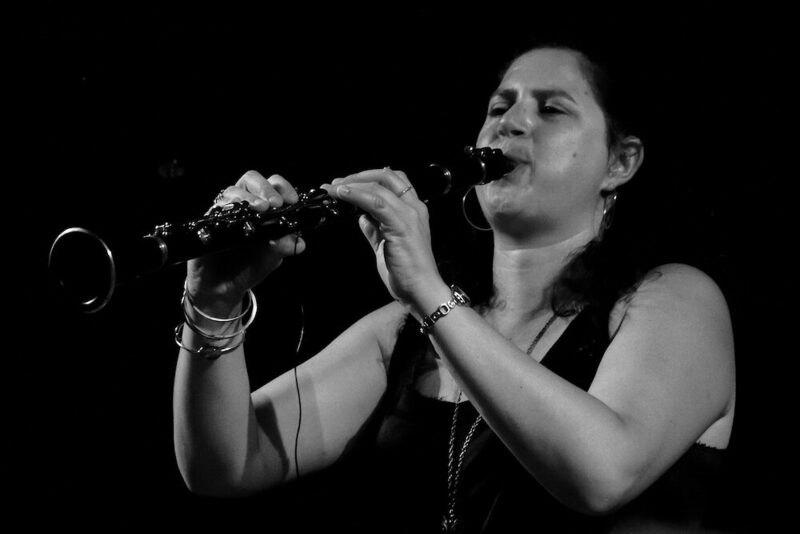 Umbria is also home to an internationally-renowned jazz festival held in the midst of the Tuscan summer in July. 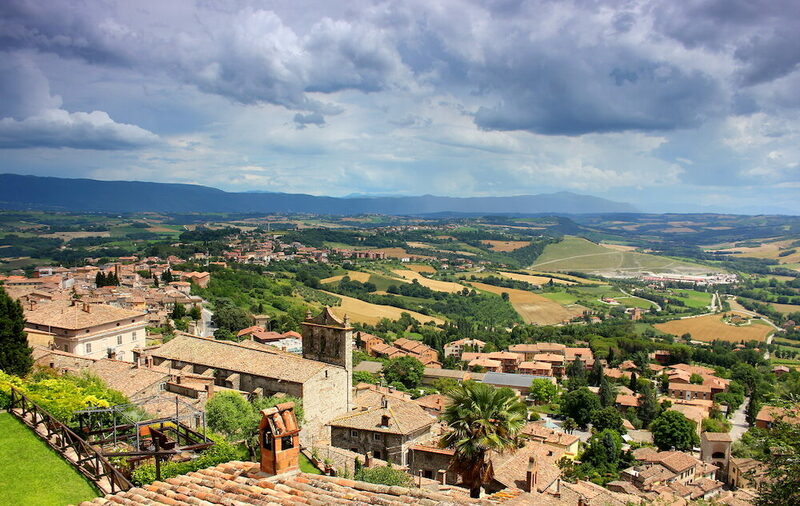 For those who want to discover a truly authentic and rustic side of Italy, Umbria is the ideal destination! 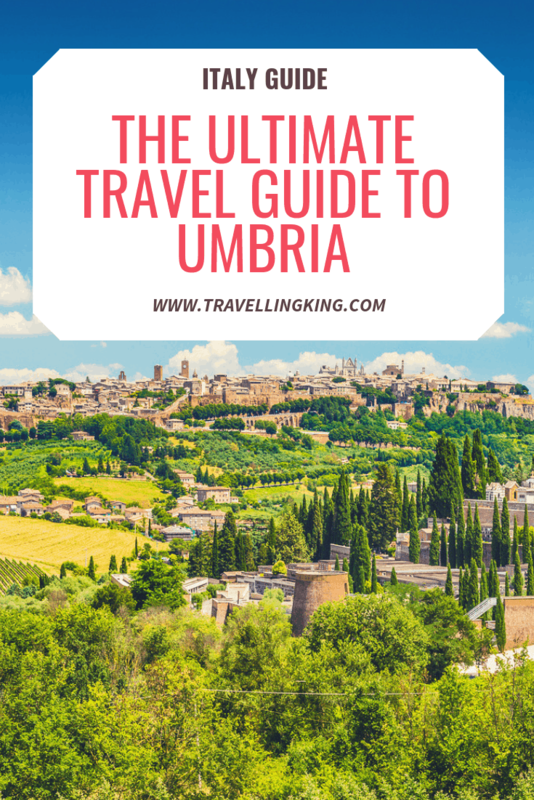 Here in our ultimate guide to Umbria we will show you the best that this beautiful and charming region of Italy has to offer! 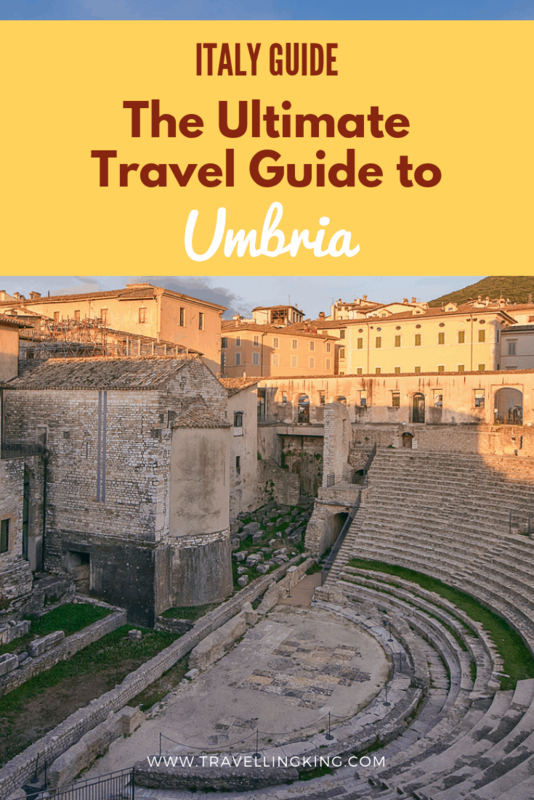 This ultimate travel guide to Umbria will show you all the most beautiful places in Umbria, what to expect when visiting, where to stay in Umbria and things to do in Umbria which will help you in planning a trip to Umbria. 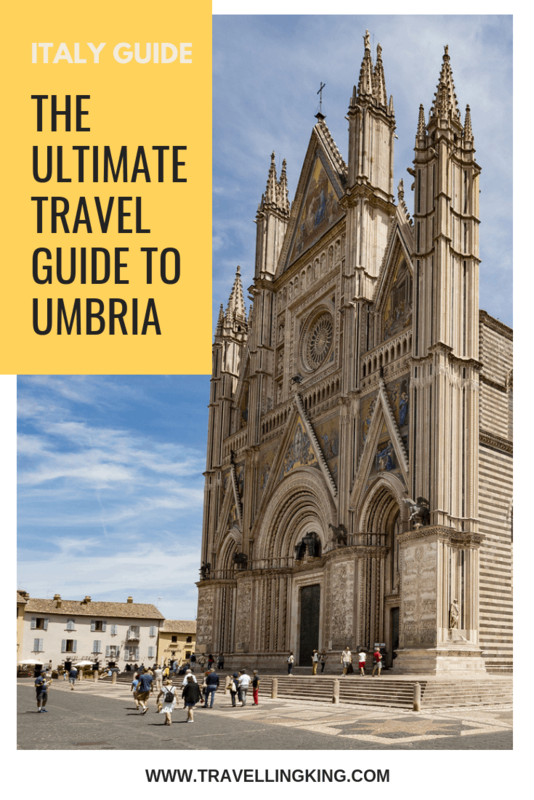 Train: Umbria is a short distance from Rome and you can reach it by train, Trenitalia runs a regular service (five times a day) from Rome Termini to Perugia and the tickets only cost between €12 – €26 one way. The only disadvantage is that you will need to change to a regional train either at Terontola if you’re travelling on the main Florence-Rome line or you will have to change via Foligno if you’re taking the Rome-Ancona train line. In total the journey will take just over four hours including the changes. Trenitalia only connects Perugia and Rome however, to get to the smaller towns you will need to negotiate the local railway service which is not as straightforward to navigate. Bus: Buses are an excellent option to get from Rome to Umbria and there is a bus departing from Rome Airport to Perugia Piazza Partigiani. There are five buses daily and the journey takes only 3 hours and 20 minutes. 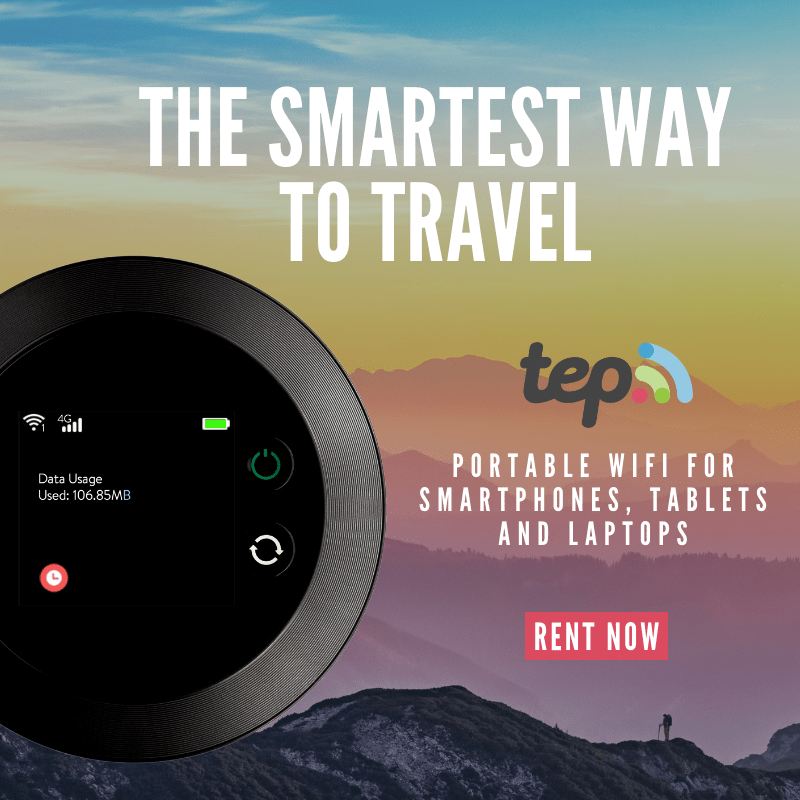 If you choose to go by train you will first have to make it from the airport to Rome Termini so bus is definitely one of the easiest ways to get there! Car: One of the best methods to reach Umbria is by car, as you will most likely need to rent a car to get around Umbria. Driving from Rome to Perugia by Car which only takes just over 2 hours. From Florence the drive takes a little longer at 2 hours and 20 minutes approximately. Plane: If you choose to fly the nearest airport is Pisa, Florence or Rome and then taking an onward train to Perugia. There is a local airport in Perugia called PEG or San. Francesco Airport which only caters to few airlines such as Ryanair and Wizz Air. 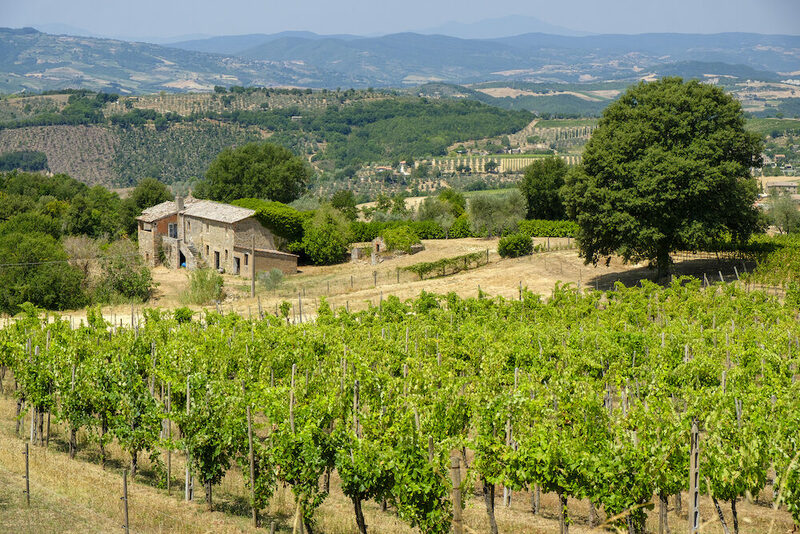 Umbria is picturesque and is similar in some ways to Tuscany, it has rolling hills, gorgeous vineyards sprawling across the countryside and a rustic, authentic feel. Some people say that it’s like Tuscany 20 years ago before it became a major tourist destination. Don’t expect such big crowds but during the summer the local festivals attract many visitors and Italian tourists. The language spoken in Umbria is Italian, but it does have its own regional dialect called Umbrian which is now slowly dying out. 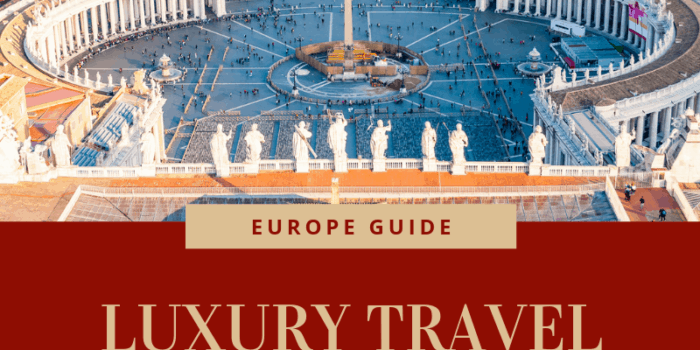 The local currency is the Euro and though Umbria is not as popular with tourists or as busy as the metropolitan cities of Italy, it’s not necessarily the cheapest destination but in our guide we will show you how to make the most of resources and enjoy Umbria on a budget! Remember to carry a bit of cash on you as ATMs will charge a fee and they may not accept all bank cards. The most widely-accepted credit card is Visa. 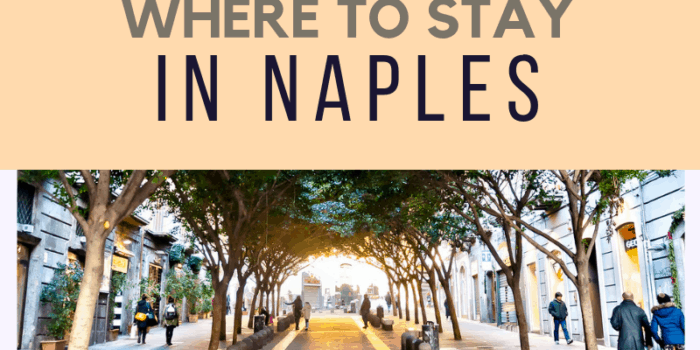 There are excellent restaurants all over Umbria but there are also plenty of tourist traps, ask the locals and find out some recommendations or just see where they go to eat to avoid having a terrible experience in one of the touristy restaurants.! Tipping in restaurants is accepted even though there is usually a service charge included in the bill. 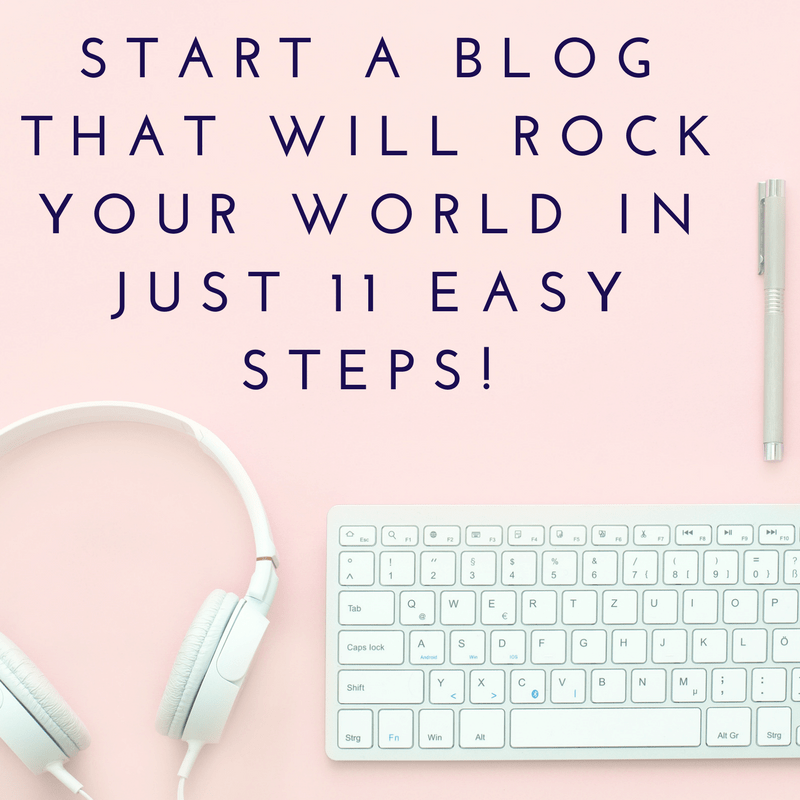 A small tip is much appreciated. 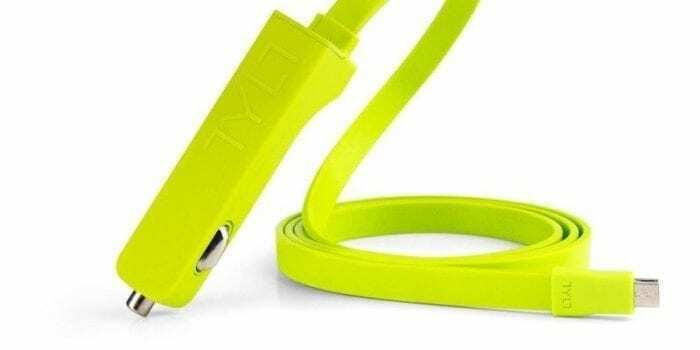 Standard voltage is 220 Volts and you may need a travel adaptor. Remember that not everywhere appreciates tourists taking photographs, especially in museums. 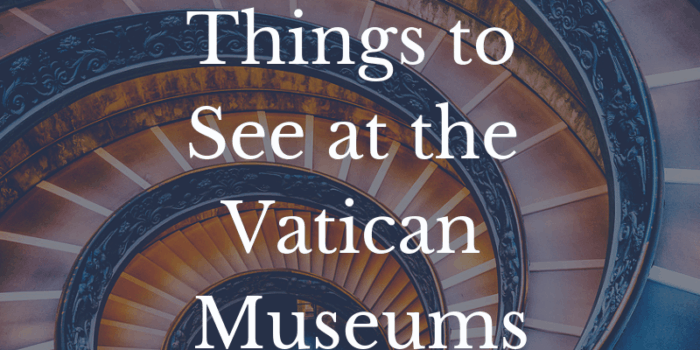 It is also advisable to cover your arms and legs if you intend on visiting some churches as museums to avoid the disappointment of being turned away. It’s advisable to bring layers with you as Umbrian weather can be changeable outside of the summer peak season and it can get cooler in the evenings, layering is the best way to prepare for all weather scenarios! Finally, Italy is a very safe country but there has always been an issue with pickpockets. 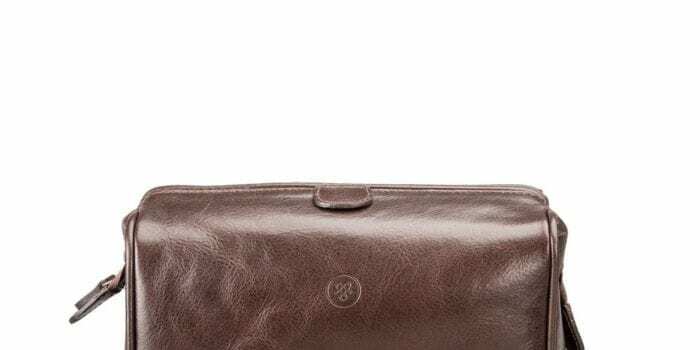 It’s advisable to keep an eye on your belongings and to use a money belt to keep your money safe, especially if you’re carrying cash for a few days. One of the reasons for Umbria being a well-kept secret to foreign tourists is the difficulty in getting around which usually requires a car for ease and efficiency. Having a car will allow you to get around easily and discover charming vineyards and small towns at a leisurely pace. Alternatively, Umbrian local rail networks have connections between Perugia and small towns in the region. 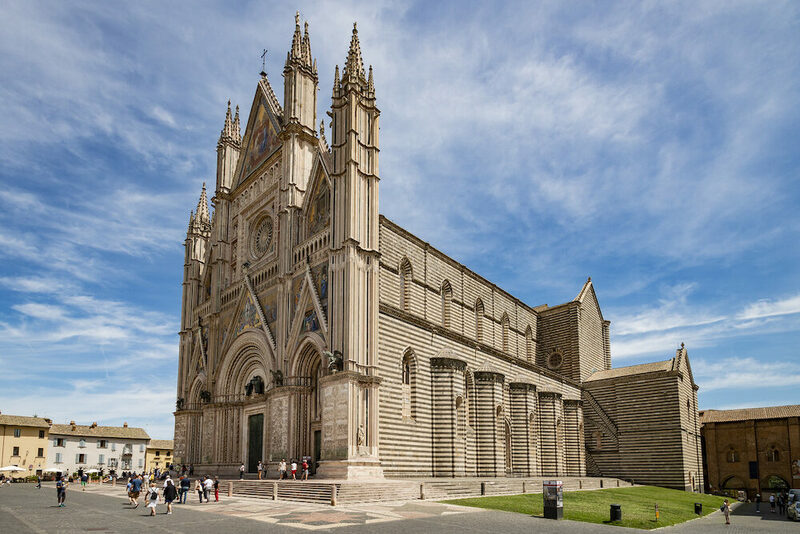 Umbria is a popular summertime destination but in general, this period is more expensive and costs for car rentals, flights and accommodation can be quite steep. The best times to visit is in their “low season” which occurs in March, April and then later again in mid-October to late November. Weather is cooler in these months and if you’re looking for some sunshine aim to head there in around April. The weather will be relatively sunny with the occasional showers in springtime. 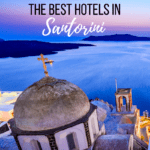 Summer is a fantastic option if you are not concerned about your travel budget, as there are local festivals including the famous Jazz Festival, however the city is usually teeming with tourists and temperatures soar in August. The medieval city of Perugia is the regional capital. The city was constructed on the top of cliff and boasts a medieval centre at its heart. Perugia is a great city for history lovers and you can visit the impressive Piazza IV Novembre which is a square in the centre featuring a stunning Maggiore Fountain. 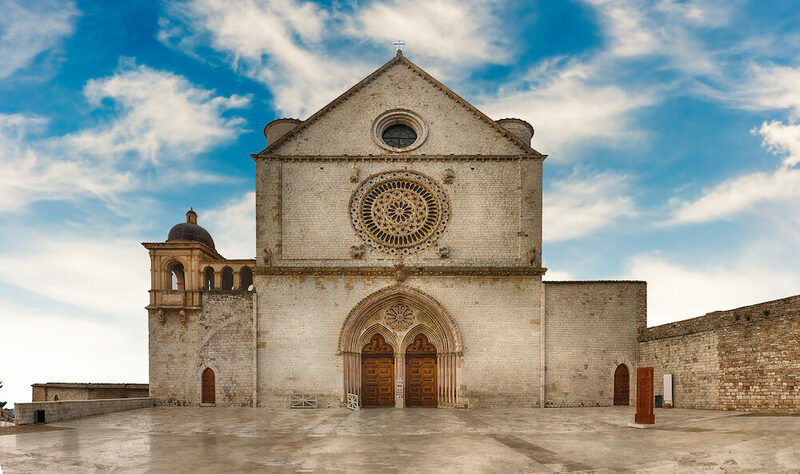 Perugia has a beautiful cathedral called San Lorenzo and you can also visit the Basilica of San Domenico which is home to a prized collection of works by local artists. For art lovers, Perugia has the Palazzo dei Priori, home of the National Gallery of Umbria where you can wander through rooms and appreciate examples of renaissance and medieval art. Assisi is the home of San Francesco or Saint. Francis was born in this town in 1181 and later became canonized by Pope Gregory as the Patron Saint of Italy, he founded an order in this Italian town of Assisi which was declared by UNESCO as a Heritage Site. Assisi is perched on the top of a hill and offers spectacular views of the valley below and has several famous sights including the Basilica di San Francesco, Saint Francis’ final resting place. Inside you’ll find beautiful and detailed paintings. In Easter there is a procession in the town to celebrate the Passion of the Christ, there is a procession which is well-known all over Italy. This charming Italian town straddles terraces overlooking the Spoleto Valley. Spello is medieval and its charm lies in the many historic stone buildings, painted in white lining the narrow alleyways of the town. The main attraction in Spello is the Santa Maria Maggiore Church which boasts wonderful frescoes painted by the artist, Pinturicchio. 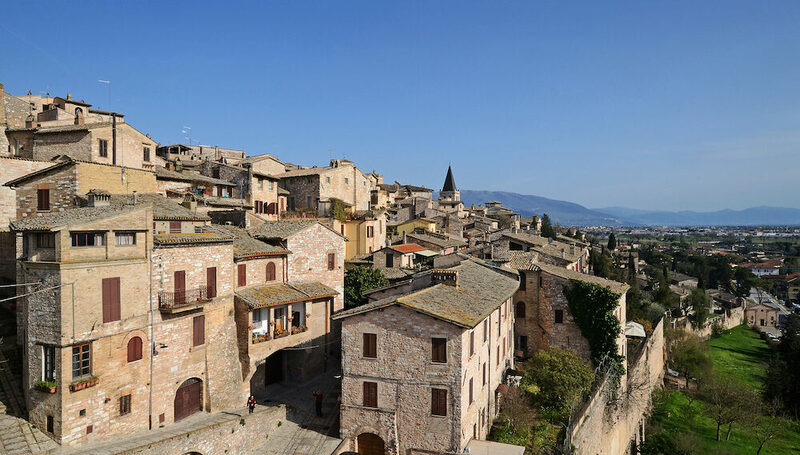 The attraction of Spello is the local ambience, sitting on a terrace and taking in the landscape whilst enjoying a glass of the local wine. If you visit in Easter you can see the local spectacle where the streets are decorated with strewn flowers in beautiful designs to celebrate Corpus Christi. Another hilltop town which stands atop a hill over the Tevere Valley is the small town of Todi, walled in by three walls from different periods of its history: Etruscan, Roman and Medieval). 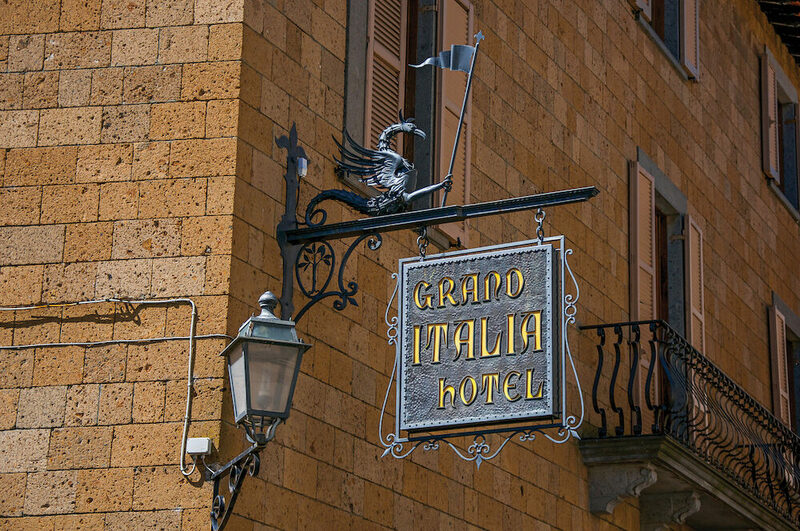 In fact the town is so picture perfect that it has featured in several Italian films. 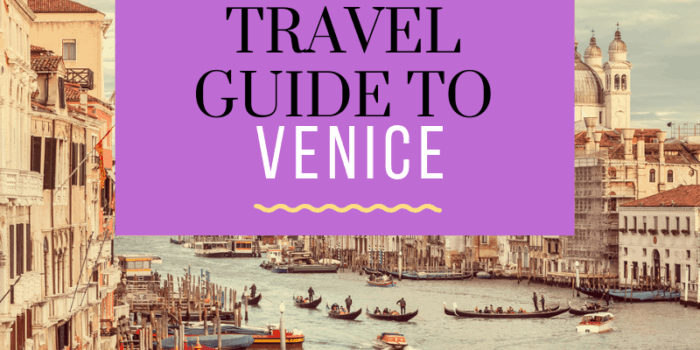 The local attractions include medieval architecture such as the Palazzo del Capitano, Palazzo del Priore, and Palazzo del Popolo. Make sure that you visit the local Roccafiore Winery, set amidst acres of vineyards and forests. This picturesque Winery is perfect for wine lovers and attracts tourists from many different countries, you can come and learn about the winemaking process through tours and wine tastings. 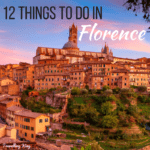 This romantic city has a medieval past reflected in its buildings and gorgeous cathedral that is definitely worth a visit, with frescoes were painted by the famous Florentine artist Filippino Lippi. The city is home to a Roman aqueduct constructed in the 14th century across the expanse of a plunging ravine and ending in a historic fortress on either end. 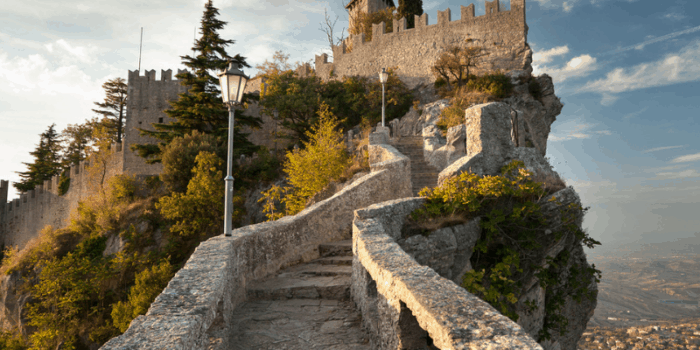 Spoleto’s main attraction is their annual summer festival called the Festival dei Due Mondi which has been held in this town for over 60 years and counting. There are concerts featuring different styles of music including opera as well as dance performances and visual arts. 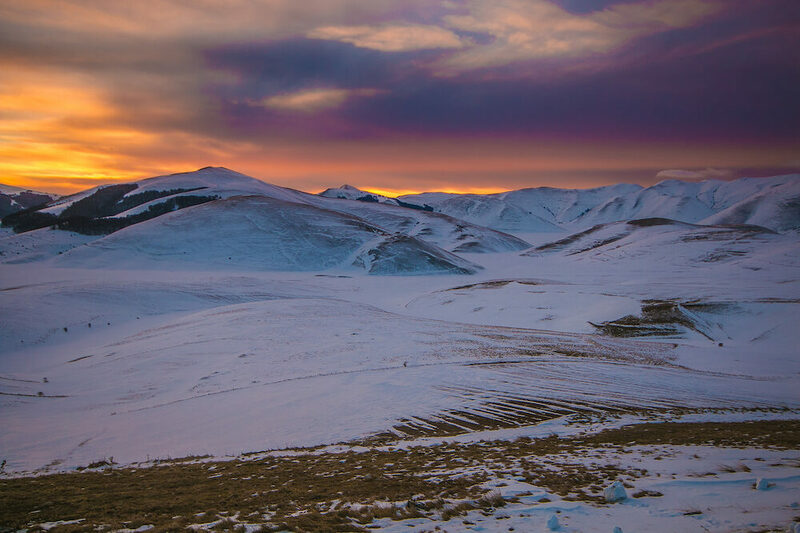 Norcia is nestled in the mountains and is one of Italy’s most famous gastronomic hubs. Here you can find the some of the best Italian meats, salamis, hams, truffles and cheeses in the whole country. Despite being devastated in 2016 by earthquakes, the town is recovering quickly and continues to draw thousands of tourists every year. 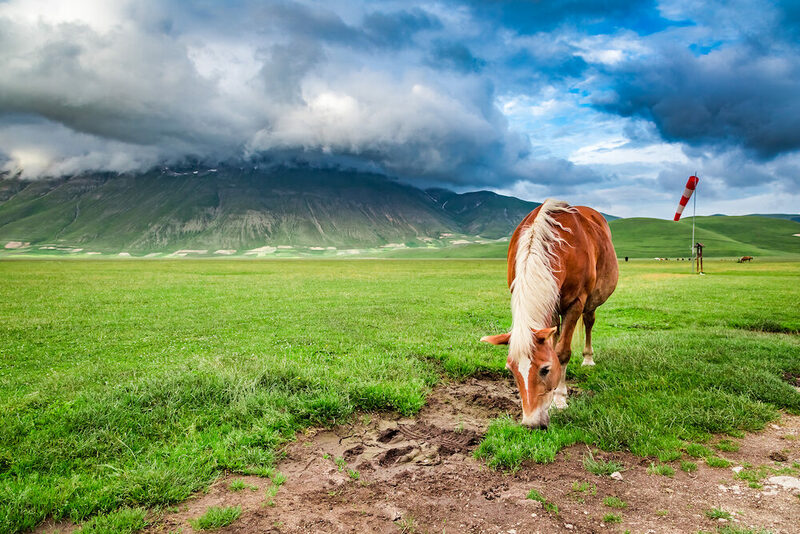 Aside from the delicious meats processed by local specialist butchers, goats cheese and black truffles are a local specialty and you can enjoy hearty local dishes in small trattorias serving up Castelluccio lentils and porcini. This is the perfect place to learn about foraging and you can even join a truffle hunting tour in Montefalco with local specialized truffle hunting dogs! 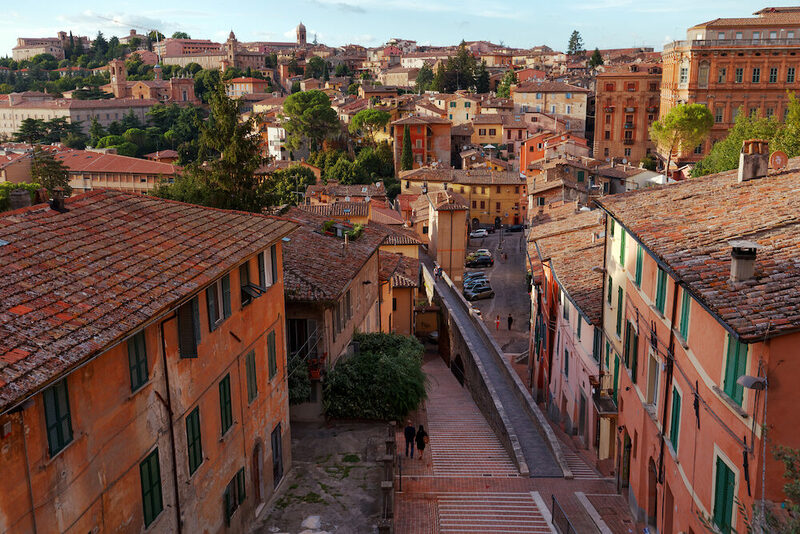 Perugia is home to an annual world-famous jazz festival in July. Artists such as David Byrne, Quincy Jones and other greats have all graced the stage here. The festival is held in the Piazza IV Novembre square and is an unmissable event for jazz lovers. Orvieto has incredible ghettos carved into the rocks underneath the city by previous residents of the city. made up of unusual rock formations, you can tour the underground passageways on a guided tour and marvel at the long passageways that were created by over 2,500 years of excavations. The guided tour takes two hours and costs only €6 and will give you an insight into the ghosts of the past that created this underground network and civilisation. Whilst you’re in Oviedo you can drop by the famous Pozzo di San Patrizio or “St. Patrick’s well” which plunges 54 metres into the earth and has little to do with St. Patrick of Ireland. 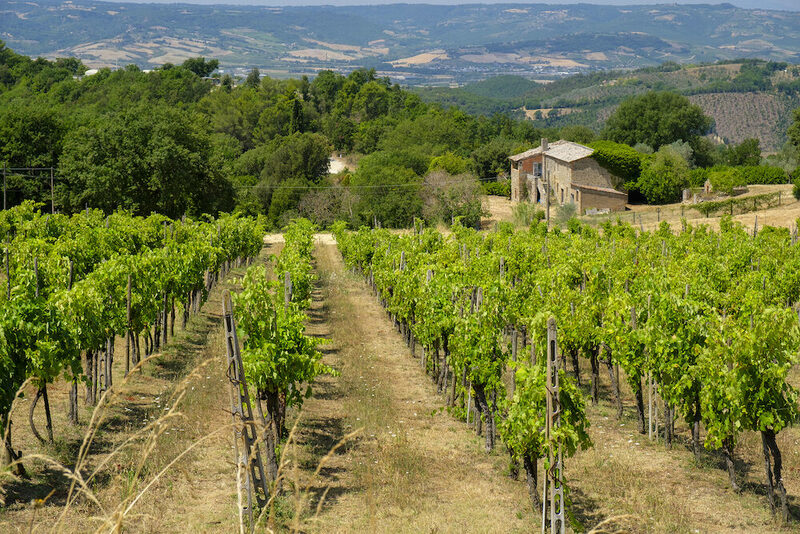 Orvieto is also home to a historic vineyard, one of Italy’s oldest, called Decugnano dei Barbi which produces spiced and warm wines such as Villa Barbi Bianco and Rosso. 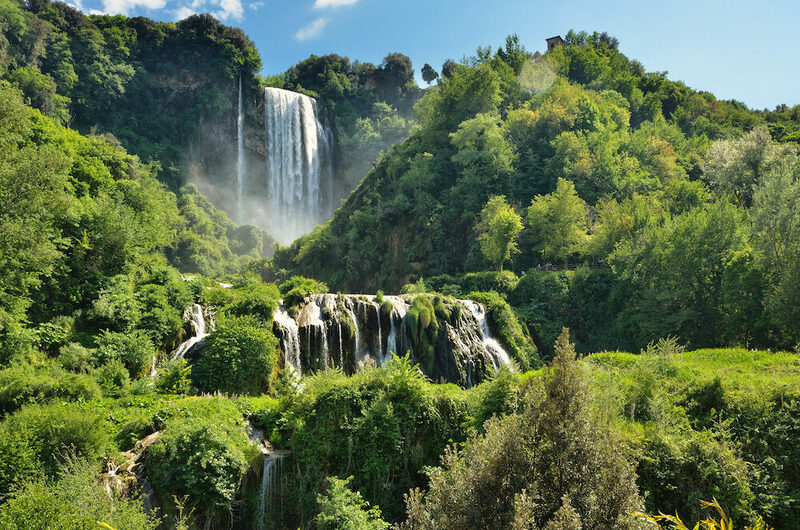 The tallest waterfall in Italy stands at 165 metres in the midst of the Nera park. Nature lovers will enjoy spending the day rambling through the forests and discovering trails that lead to gorges and streams. At the park you can enjoy various adventure sports such as canyoning, canoeing and rafting. 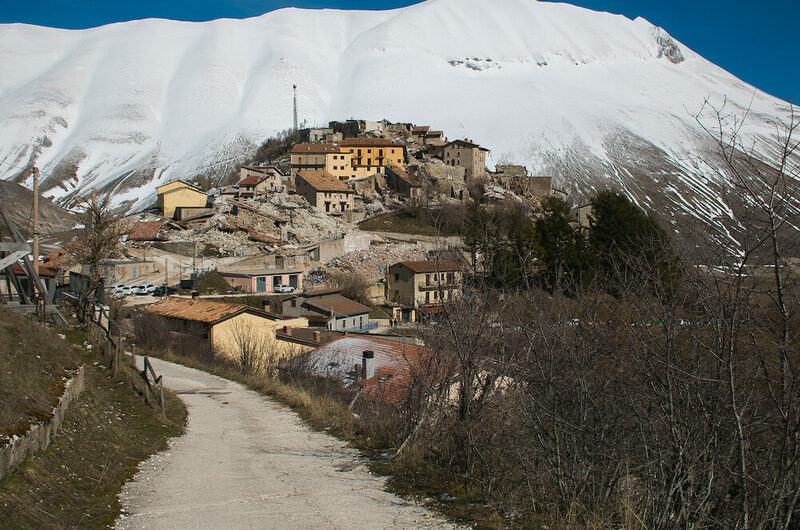 For those who want to explore the wilder side of Umbria, Monti Sibillini has plenty to offer. Monte Bove is the ideal rock climbing destination and you can even enjoy some mountain biking, hiking trails, rafting and canyoning. Between May and July, Monti Sibillini bursts into flower and fields of vibrant red poppies emerge from the grass creating a stunning contrast between the lush green of the mountain and the blood red of the flowers. 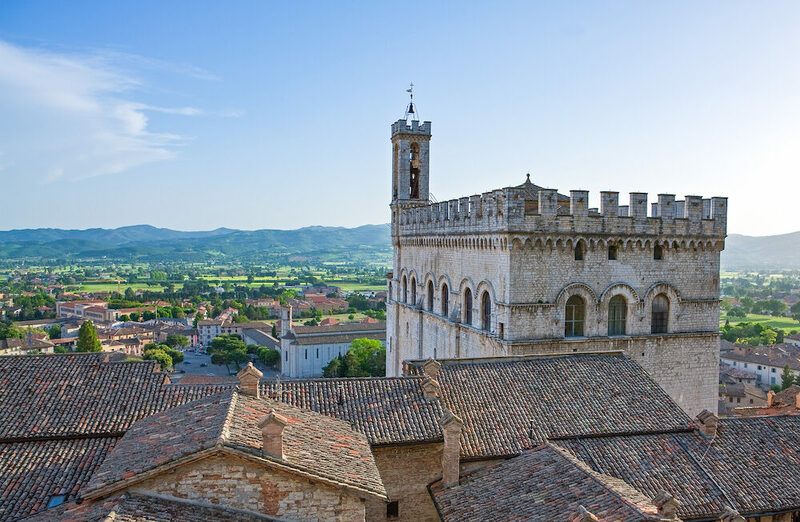 Gubbio though small is by no means humble, it boasts a selection of Palazzos including the Palazzo dei Consoli, Palazzo Ducal and an amazing cathedral. There is even a pilgrimage path that links Gubbio to Assisi called the Francisco Path of Peace. The route follows the footsteps of Saint Francis of Assisi who traversed this route many, many times. 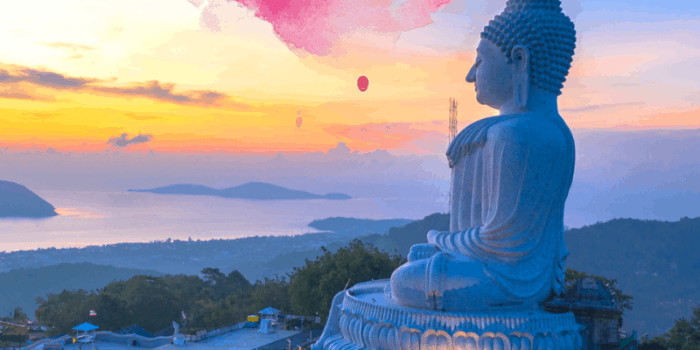 Aside from stunning views over the landscape you can enjoy a sense of mysticism seeing pilgrims following this well-trodden path in an act of religious devotion. Gubbio is also home to a unique tradition called “Gubbio corsa dei ceri”, this is a race which takes place on the 15th of May since 1160. The candles are wooden representations of the three Saints: Ubaldo, George and Antonio Abate that loom at 5 metres in height which are mounted on the shoulders of people who race through the town to reach the Basilica of St. Ubaldo atop the mountain of Igino. Umbria is all about wine and there are even four wine routes you can take if you want to pay pilgrimage to amazing Italian wines. The four routes are called “Strada dei Vini del Cantico”, “Strada dei Vini Etrusco Roman”, “Strada dei Sagrantino”, “Strada del Vino dei Colli dei Trasimeno”. On any of these routes you can explore different vineyards and get tipsy doing wine tastings. One of unmissable stops on the route is the Lunelli Estate with a stunning cellar designed by Pomodoro, famed around the world. The local wines are fantastic and are DOC denomination wines, unique to the region. Known as black gold, truffles are highly-prized and incredibly expensive. 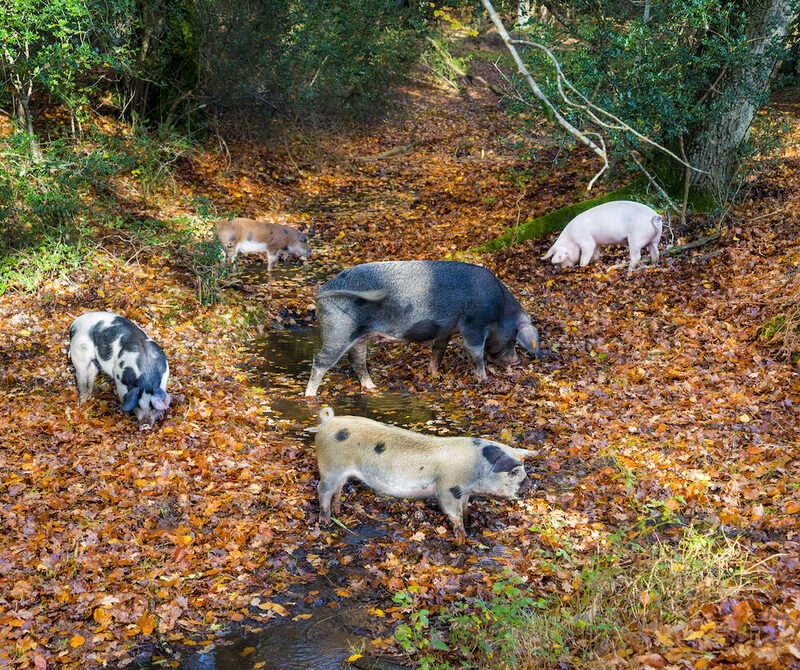 The reason for this is that they grow in the wild in acres of forest only to be located by the sensitive well-trained snouts of truffle hunting pigs and dogs. Despite money being thrown at trying to replicate conditions to farm truffles, all efforts have failed and the only way to find them is out in the wild. In the Umbrian countryside, truffles are abundant and many of the local dishes use this delicious ingredient in pasta, to add depth of flavour to some cheeses and meats or served up shaved over some scrambled eggs. 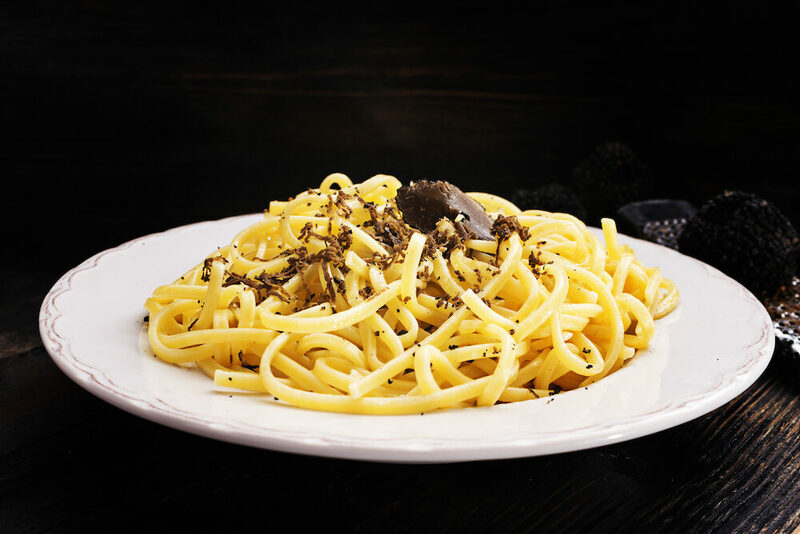 One of the best places to try some truffle dishes is Bistrot al Tartufo, situated in Via Ulisse Rocchi in Perugia, make sure to drop in and try some their delicious truffle flavoured pasta. 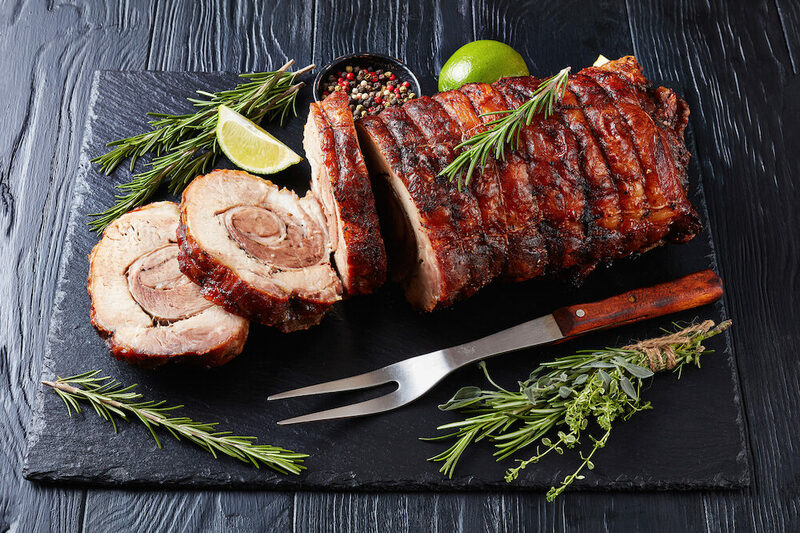 Porchetta is a slow-roasted pork loin, deboned and rolled in savoury herbs. It is often served as a street food dish and sliced and served up into a sandwich roll. The meat is tender and the crust is golden and crunchy, it hails from some of the famous hog farms in the region, the meat has a special TSG status assigned to products characterised by specialised methods of production. Fagiolina have been eaten in Italy since Etruscan times, providing sustenance and proteins in hearty rustic dishes. 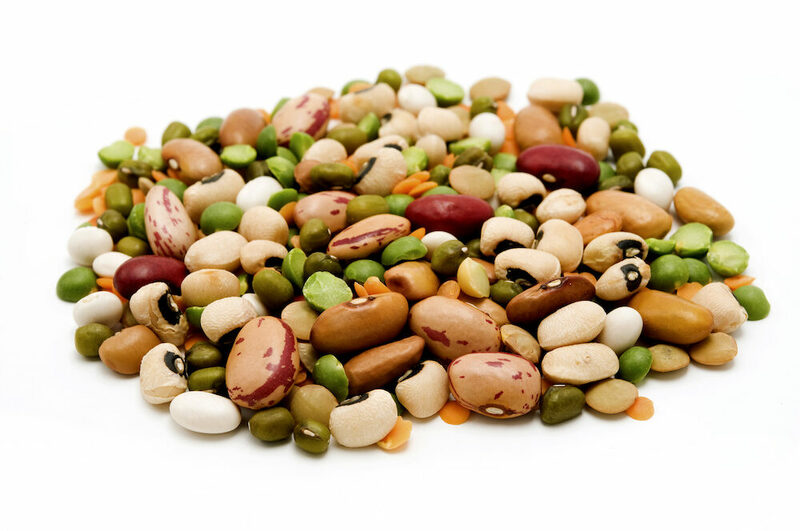 Until today, this legume is farmed and harvested by families in the area and they are delicious in local dishes and have a nutty and buttery flavour and texture and is often served in hearty soups. Strangozzi pasta is widely enjoyed in Umbria, it is a homemade pasta which resembles tagliatelle and is made without eggs. In the region the pasta dishes are often served with meat sauces or sometimes even with fish and vegetable. A local specialty is Strangozzi served up with a fish sauce made from river perch, Trasimeno Strangozzi. Umbria may be far from the sea, as it is landlocked, however there are many lakes which provide delicious fish used in Umbrian cuisine. This trout dish is filled with a mixture of garlic, oil and salt and fried in a pan. This lentil soup is a hearty staple in Umbrian cuisine, the lentils come from Castelluccio in Norcia, from atop the Monti Sibillini. These nutty, small, brown lentils are delicious and served in a stew with local sausages. This flatbread is a traditional dish of poor man’s cuisine, also known as “cucina povera”. It was once cooked over an open fire on a “testo” which was a stone, nowadays it’s cooked in a griddle pan and is often served with local cheese and cured meats, it’s especially delicious with traditional Umbrian sausages. Hotel Il Palazzo, Assisi – This hotel is halfway up towards the Basilica of Saint Francis and is built in a refurbished Palazzo from the 16th century. Rooms are elegant and minimally designed with air-conditioning, wifi, private bathrooms and some rooms on the third floor offer views over the valleys of Umbria. A buffet breakfast is included in the price and it makes a perfect hotel for a romantic getaway at prices starting from €81 per night. Alla Posta dei Donini, Perugia – This gorgeous historical residence was home to the aristocratic Donini family and was once a 17th century villa that also had a silk workshop on site. The villa complex is rich with history and you can learn about its aristocratic past with a tour of the aristocratic quarters. 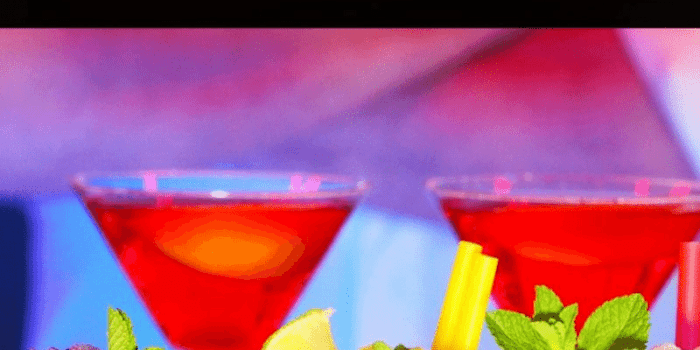 The hotel also provides group wine tastings and cooking classes and has its own botanical gardens and outdoor pool, as well as a luxurious spa with steam room, sauna, masseuses and beauty treatments. Breakfast is included and you can enjoy this in their patio and gardens and the onsite restaurant provides hearty yet gourmet Umbrian cuisine. Prices start at only prices starting from €119 per night. 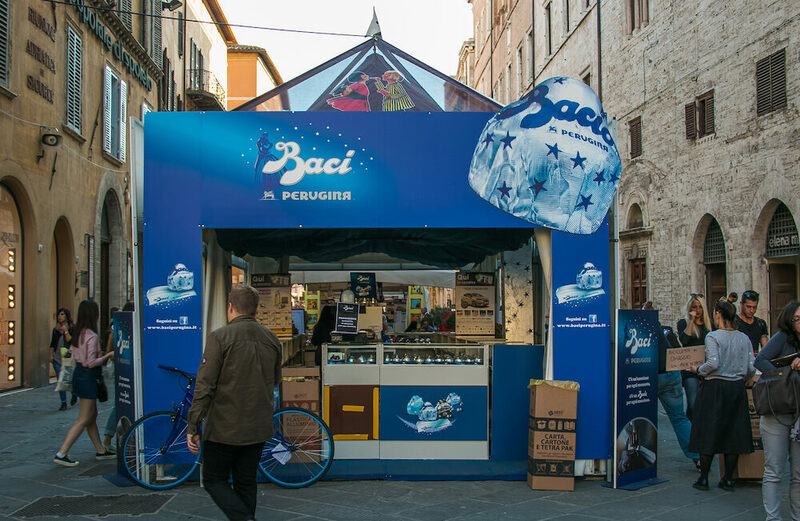 Perugia is home to the well-loved Baci chocolates and you can visit a chocolate factory in this half-day food tour of Perugia. The tour is guided and includes a lunch where you can sample Perugian dishes as a great introduction to the local gastronomy. If you want to discover the Umbrian forests on horseback and create an unforgettable memory, join this tour for two hours of riding through the wonderful landscape and olive groves of Tiber Valley. 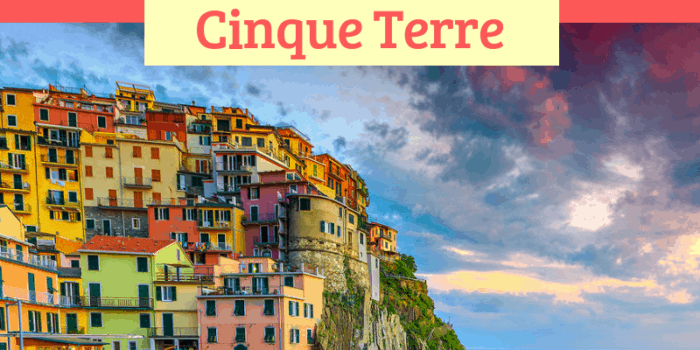 You will be able to catch the sunset over the panorama and a snack of local cold cuts and cheeses are provided at a local restaurant in Torgiano. 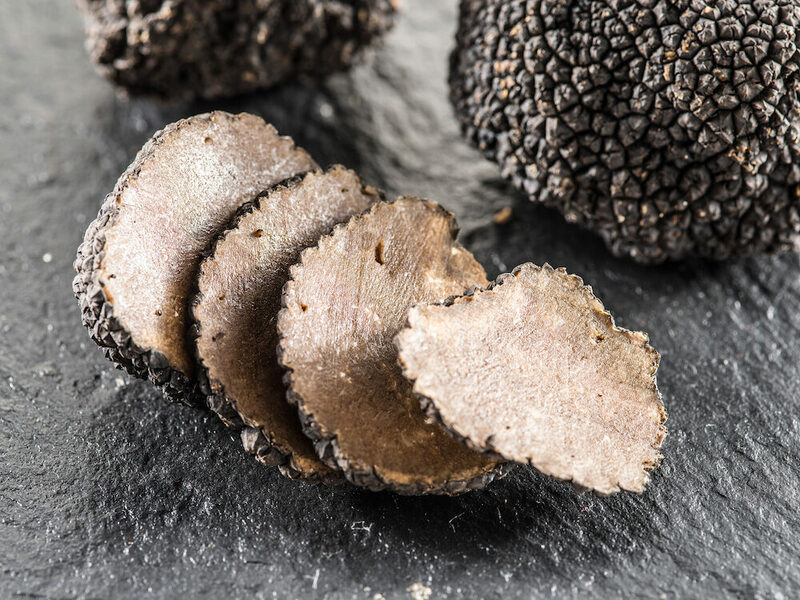 Get away from the city and into nature with this truffle hunting tour with local experts to search for the most highly-prized produce from Umbria. The experts will show you how they hunt for truffles using specially trained dogs and afterwards a lunch will be served at a family-run farmhouse where you can taste the delicious black truffles in some mouth-watering home cooking. 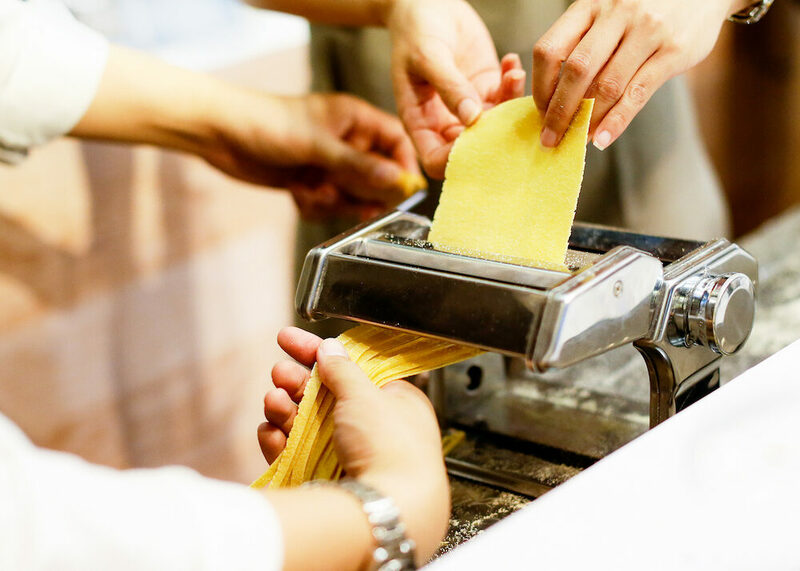 Impress your friends back home with pasta skills that you learn under the guidance of a local chef where you can learn to use the local ingredients such as sausages, porchetta and truffles in handmade pasta dishes. The tour lasts four hours and it’s a great experience for those who want to delve deeper into the local food culture. €5.30 one way to reach Isola Maggiore. 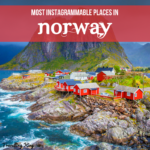 There are only two restaurants near the lake and so it’s a better idea to grab some cheese, wine and cold cuts and make a picnic to take out with you. 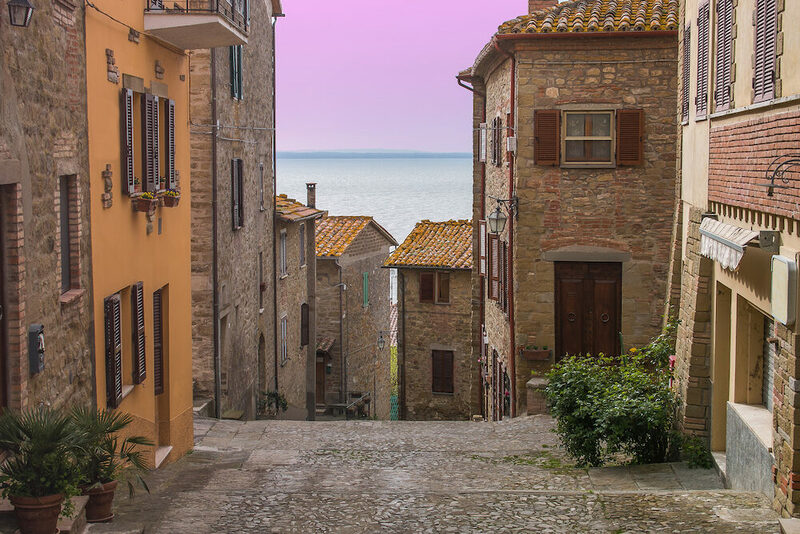 There is also a small lakeside town called Castiglione del Laga named after the ruined castle which you can reach by train from Terontola or by ferry from Passignano. There are naturally occurring hot springs in Umbria and you can visit the thermal baths of Fontecchio situated in Città di Castello or visit the Franciscan thermal baths in Spello where you can soak in the mineral waters and enjoy the many health benefits or even have a beauty treatment or two.